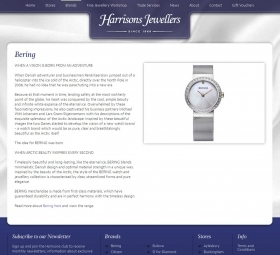 Harrisons Jewellers are a chain specialising in high-quality jewellery brands and workshop services. 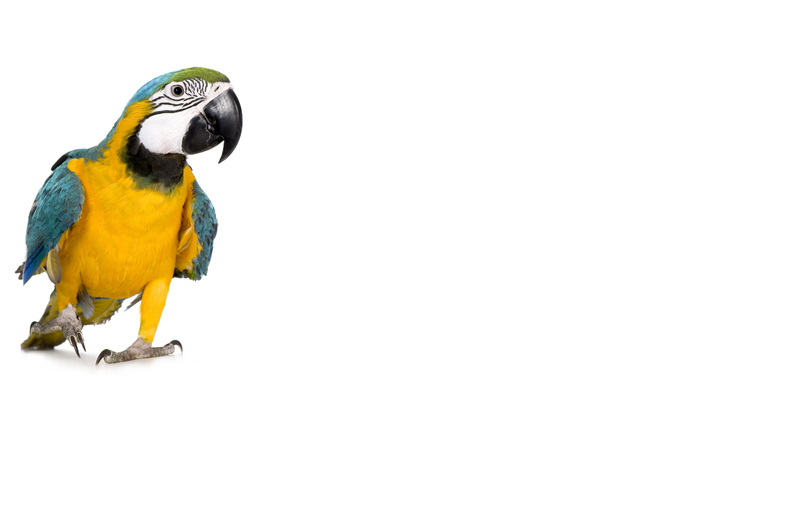 They came to Webbed Feet UK as they wanted to update their site with a modern, bespoke eCommerce website that better reflected their high quality products and services. They also needed a responsive website that worked on mobile phones so that shoppers who were out and about could check them out. 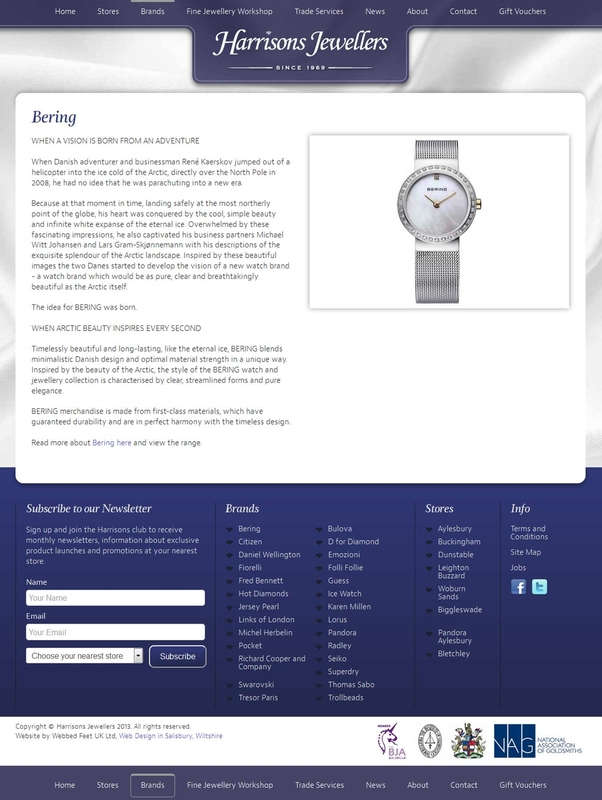 The old website used a stale design that wasn't representative of Harrisons' high quality brand. Information on the site was falling out of date as the site was hard maintain. 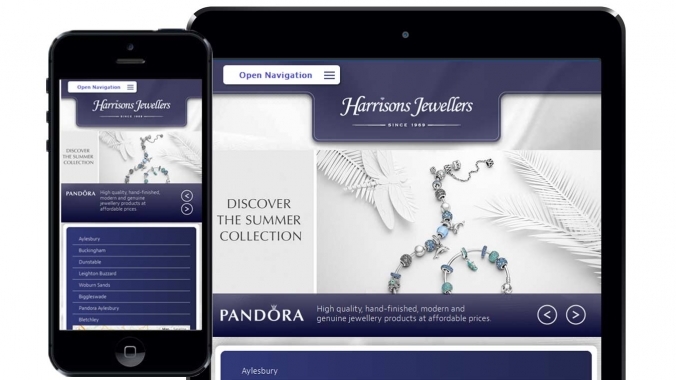 Harrisons is a high-street brand, and as such the end-goal and primary purpose of the website is to increase footfall to the stores. In addition to this, the site needed to showcase the products and services on offer. When re-designing the website, the first thing we addressed was the lack of high-quality images. Jewellery is an inherently beautiful thing that sells itself, but it needs to be shown off for best effect. We implemented a large image slider on the home-page that advertises a combination of the latest jewellery and the services they provide. The new website is responsive and mobile friendlyThe rest of the design was brought up to modern standards. We spent extra time making sure that the new web design was not only clear and usable, but also innovative and unique. 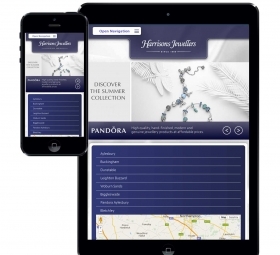 The new design not only ticks those boxes but is also responsive and mobile friendly. 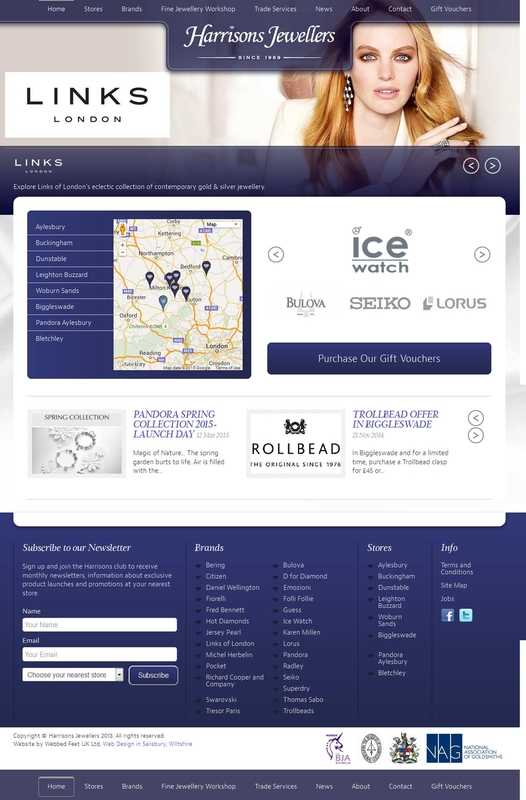 Each store has it's own page which contains essential details such as location, contact details and opening times. 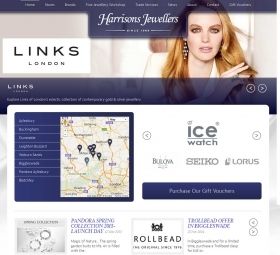 To increase visits to the high-street stores, they are all listed on a map, right on the home-page. Clicking a store on this map displays all the essential details the audience needs. If you are interested in a website, or you would like to learn more about what's possible with bespoke eCommerce, then contact Webbed FeetUK.